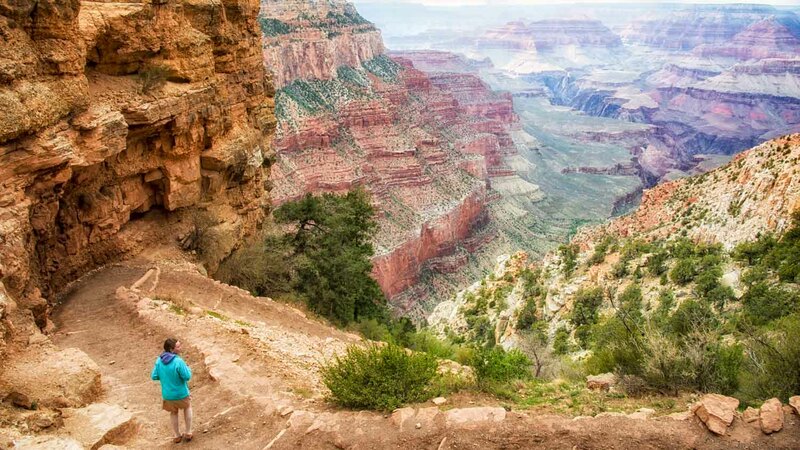 Enjoy a comfortable motor coach ride with breakfast snacks and lunch from Las Vegas to enjoy 3 hours at the Grand Canyon National Park, South Rim. 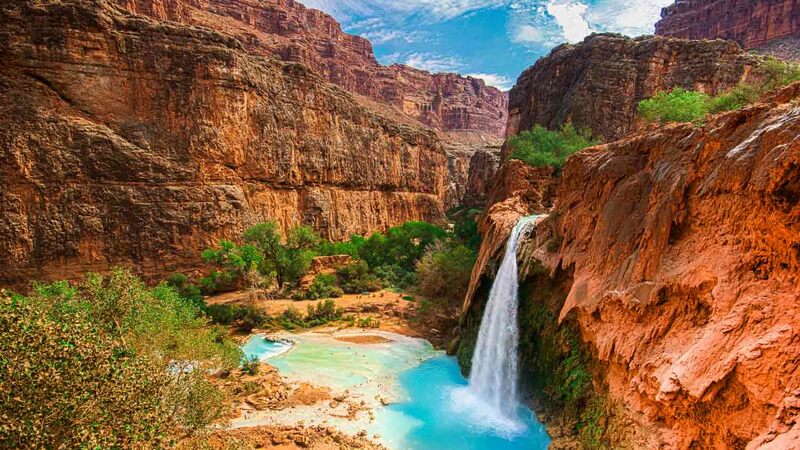 Whether you see it from above by helicopter, below by boat, or choose to tour its hiking trails by foot, Arizona's Grand Canyon is one of North America's most breathtaking sights. Here's a step-by-step guide on how it came to be! 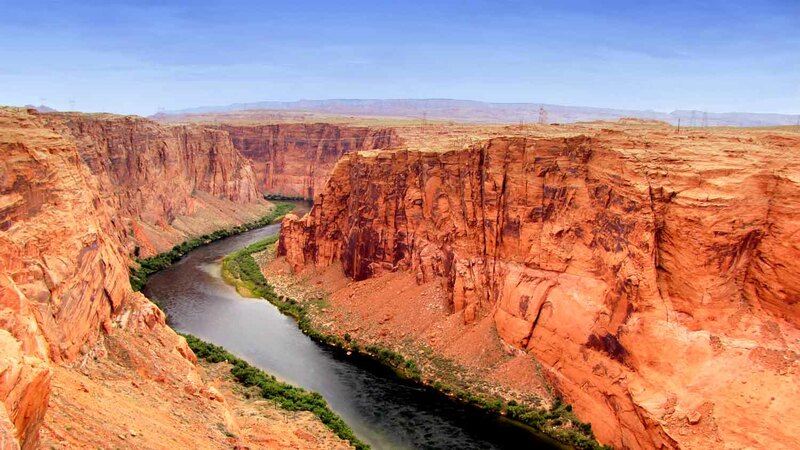 When the Kaibab plateau was forced upwards 35 million years ago, the ancestor of what is now the Colorado River was diverted away from its previous route towards the Pacific Ocean. The river's new route saw it empty into the Gulf of Mexico. Volcanic activity caused this river to become obstructed as well, creating a vast lake. 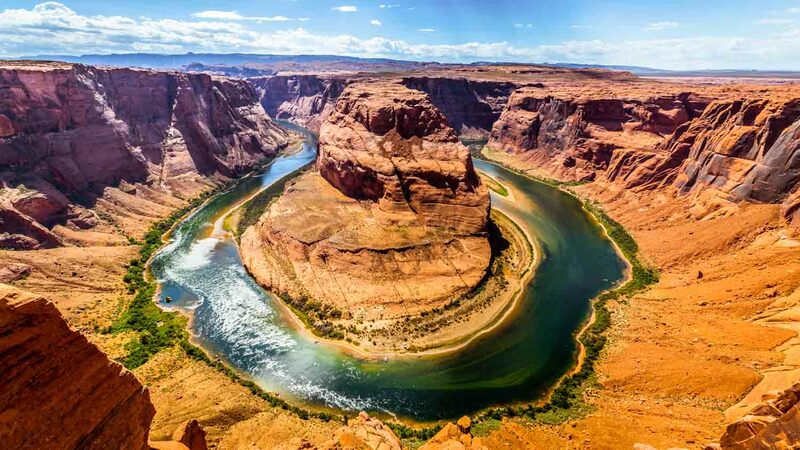 Eventually a path was eroded through the Kaibab plateau, accelerated by the last ice ages, and the old Pacific-ward segment of river was reconnected to the rest of it. With a steeper route heading west now open, the waters of the ancient Lake Bidahochi were drained, leaving just a deep crevice through which the Little Colorado River now runs. Though the bulk of it formed during this epoch, continued erosion and rock falls have expanded the canyon further still. It may look very different in another 35 million years! April to early June is a great time to visit the Grand Canyon, arriving just in time to make the most of the rising temperatures before the intense heat and bursts of rain that come with summer. September and early November are also good times to go if you want to avoid the peak-season crowds before it gets too cold! The weather can be unpredictable so pack rain gear even if it's gorgeous when you set out. 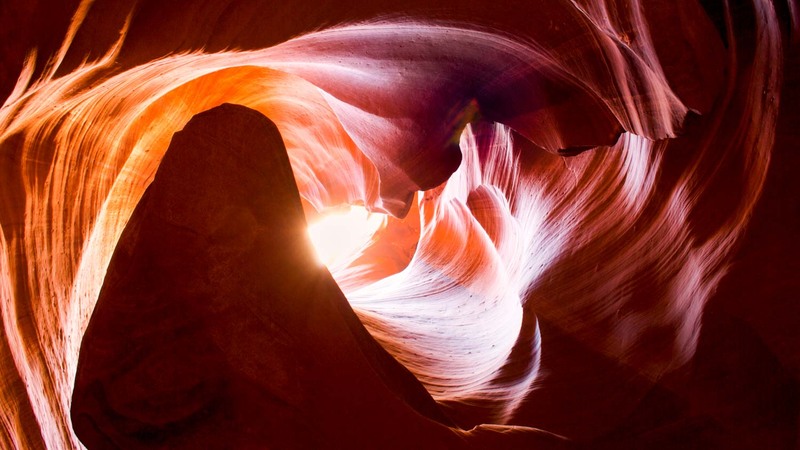 In summer, the cool canyon breeze can also disguise the heat of the sun's rays, so be sure to wear sunscreen even if it doesn't feel necessary. Bring plenty of water, too, of course, and light snacks. Trust us, you'll be better off topping your energy up as you go rather than setting out after a heavy meal! When it's hot, cover up in light, airy fabrics rather than revealing tops and shorts, as you'll be highly exposed to the sun. Sunhats and sunglasses are also a must in summer, and comfortable walking shoes are essential at any time of year. Make sure your feet don't slip around in them either, or the steep canyon trails may result in bloody toes! The South Rim is open all year round, the North Rim is only open from May 15th to October 15th. An individual permit is $12 and is good for 7 days. There are some great tours available! Might be worth it to check out our best-selling tours. By car you can take a scenic drive through the Kaibab National Forest, or sit back, relax and take the Arizona Shuttle. Don't forget that if you are bringing a car, you'll have to pay for a vehicle permit, as well.